The UH-1N is the U.S. Marine Corps multi-role liaison and attack helicopter. A UH-1N Huey maneuvers through the mountains prior to attacking targets during Weapons and Tactics Instructor course 2-07. 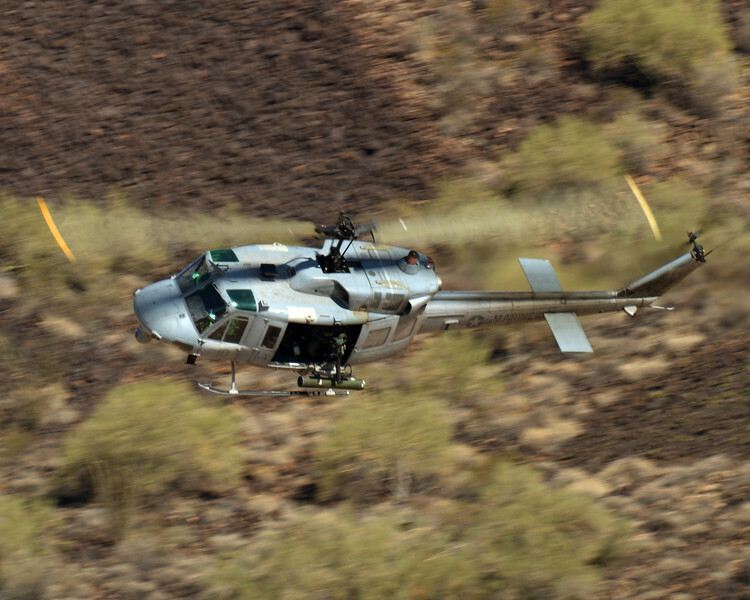 The Huey is supporting a heliborne raid during the FINEX phase of training in WTI.